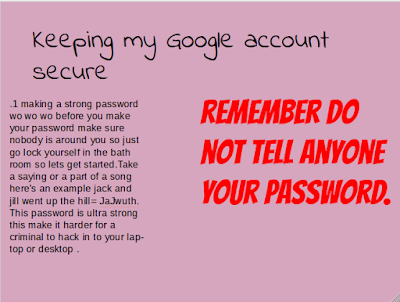 W.A.L.T create strong passwords and make sure our Google account is secure. 1. 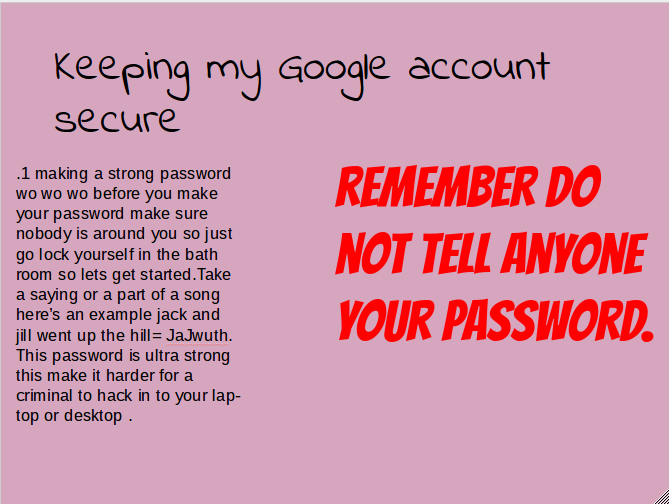 Make sure your in a top secret place to start making a password. 2. Find your favorite quote, song lyric and take the first letter and join it to together. 3. To make it more secure you can put upper case letters and numbers. see your password even your parents or loved ones.